When it comes to building the perfect home, many homeowners can overlook the importance of having enough storage space. Ample storage areas house plans ensure that the owners will have enough space to store all of their belongings comfortably and conveniently, without having to sacrifice any of the actual living areas to storage or clutter. This can happen in a variety of ways, depending on the needs of the owners, making ample storage areas home plans an incredibly versatile option for any family size or budget. One of the most common, and least complicated, methods is to incorporate more closets and cabinets throughout the home. Some homes include linen or utility closets at strategic locations, such as at the end of hallways, at entryways, near mud rooms, in garages, etc. 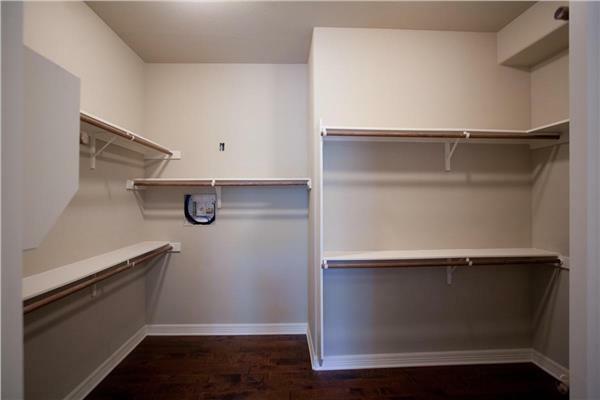 ; others eliminate hallways completely to allow each bedroom to have lager closets. Another method these house plans use to provide ample storage areas is to focus on expanding and repositioning the kitchen to allow for pantries, especially walk-in pantries, and multiple cabinets. Open floor plans, which are a popular choice among today’s homeowners, can also include many hidden storage areas seamlessly built into the home. A kitchen island can have cabinets and drawers inside to store dishes or additional appliances, while the living space can have a built-in bookshelf and include furniture that has its own storage compartments. Ample storage areas house plans also make use of basements to create larger open areas that can hold bigger and oddly-shaped items while staying out of sight from the rest of the home. Other ample storage areas house plans use sloped roofs to create attics or 1½-story homes that offer upstairs storage rooms and areas for shelving, etc.